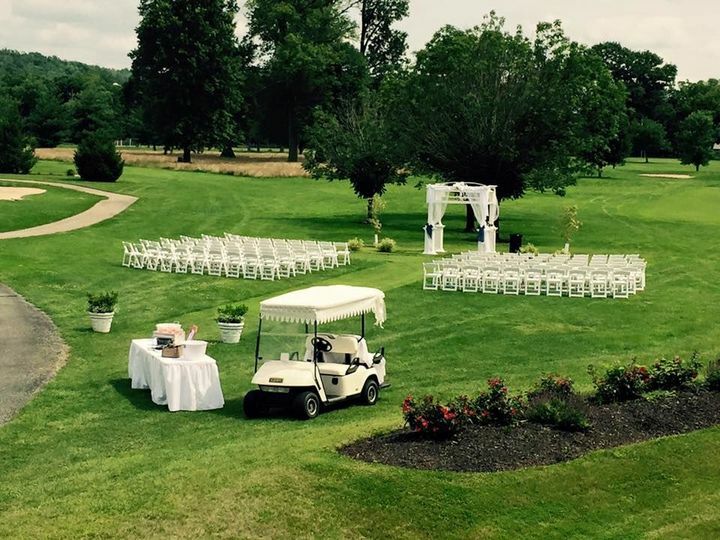 Elegance surrounded by a golf course is the only way to experience your magical wedding day. 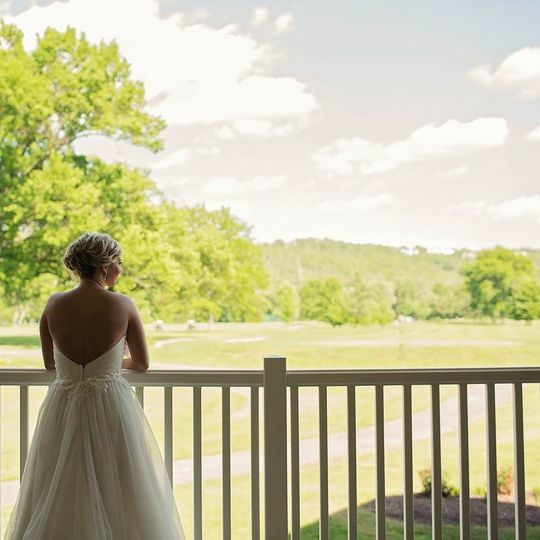 The Plantation Club at Twin Oaks Golf Course exceeds your highest expectations. 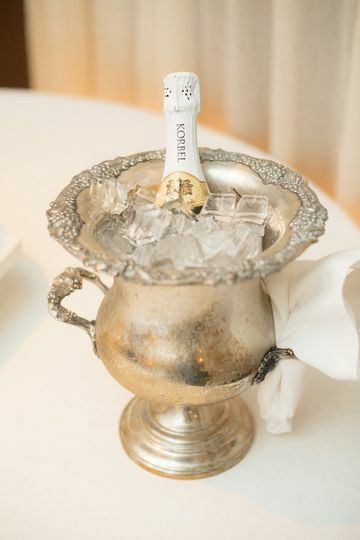 Its truly where personalized service, the finest and freshest cuisine and the most elegant setting anywhere come together seamlessly. Also featured is The Plantation Club and The Veranda Grille. 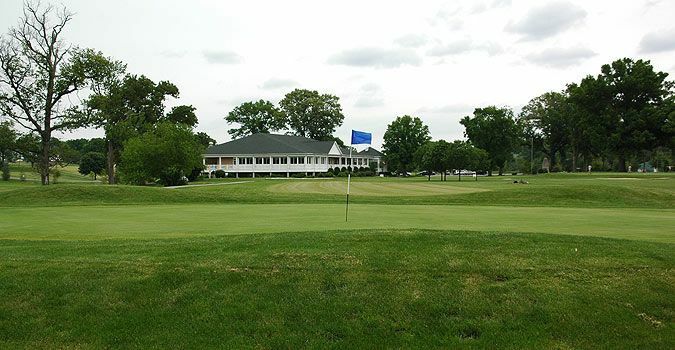 This beautiful clubhouse hosts a full service pro shop, bar & grille and veranda seating approximately 100 people for lunch & dinner. 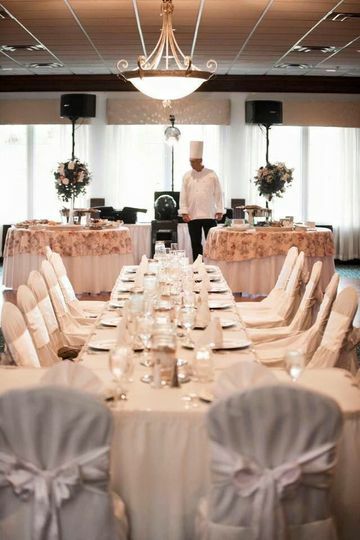 We offer a full service banquet facility with seating up to 260-300. 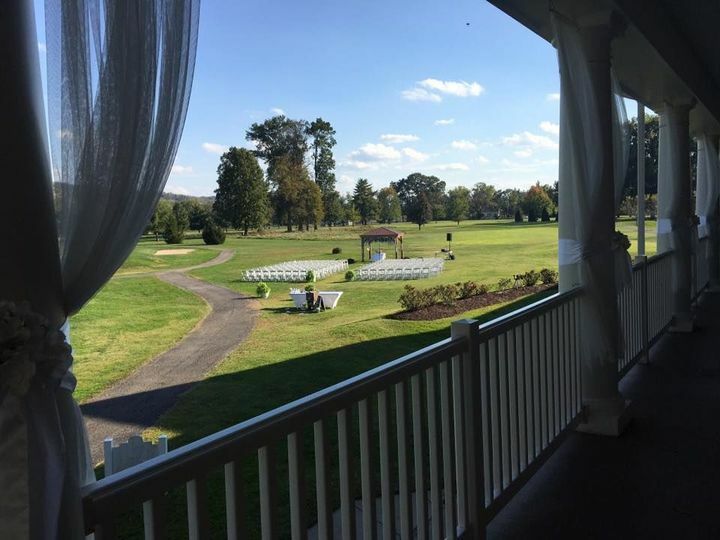 The breathtaking veranda surrounds the facility overlooking the course. The Swingos Family have been your hosts for the past 40 years and will be happy to welcome you and your guests. 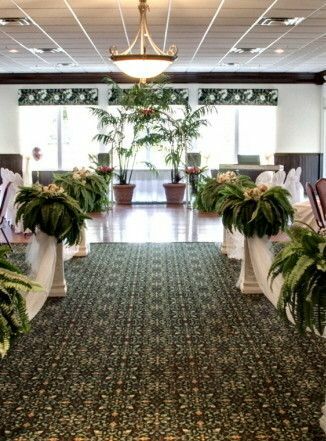 The Magnolia Room in The Plantation Club at Twin Oaks hosts a wedding reception almost every Saturday evening. At Christmas Time, all the flavor of a Southern Christmas is displayed and it is a favorite spot for Christmas parties and group luncheons. 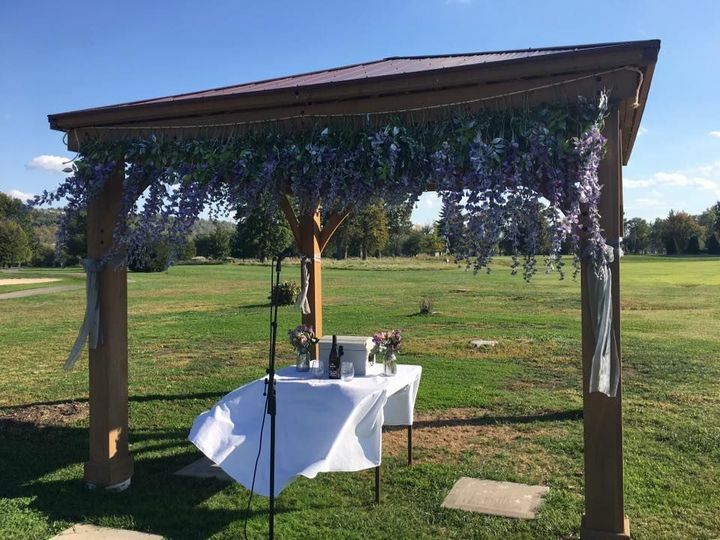 I worked at an event center, so I knew what I was looking for when it came to my own wedding day. Domanic was with us every step of the way-from scheduling a tour, to kindly replying to each of my (continuous) email or text questions, to our final meeting. He made sure everything ran smoothly and I also really appreciated being able to drop off our reception items in advance. Our day-of coordinator, Amy was waiting for our limo when we arrived and she had someone take our things into a back room. There were appetizers waiting for us too-bonus! Walking into the reception, everything was stunning! It was like they had taken my dream and made it a reality-but BETTER! Our food was served to us at the buffet by our chef-the food itself was amazing, everything was set up beautifully, and our guest had an amazing time. Not to mention that everything was reasonably priced and came in under our budget ($7,000 under the event center I worked at, might I add). I can’t say enough good things about this place! Our experie3ce with Twin Oaks was amazing. Everything from our first visit to the last dance was over the top. The food was the best ever for any reception and this was said by all of my guests. Everyone that works there is wonderful. Domanic was was so easy and accommodating. Our every wish was taken care of. Amy was on top of everything at the reception. We felt like royalty and that everyone was at our command. One of the most amazing evenings that I have ever had. They made our wedding day the best memory of our lives. Thank you Twin Oaks for a job well done. We had our reception here and it far exceed our expectations. The staff was amazing, and they took care of everything so we didn't have to worry about it. As soon as we arrived, they had the banquet manager there to meet us and check things to make sure the whole thing ran smoothly. They worked very well with all of our vendors. 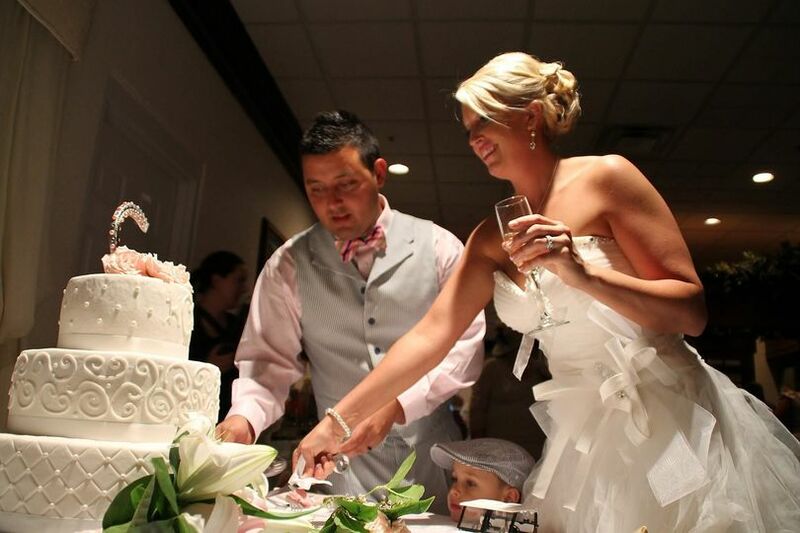 The food was the best food I've ever had at a wedding reception, and lots of our guests said the same thing. The definitely don't nickel and dime you with extra fees or anything either. Our final price was actually a little lower than I anticipated. I would highly recommend Twin Oaks.